So, back to Nisan! It's been a while! 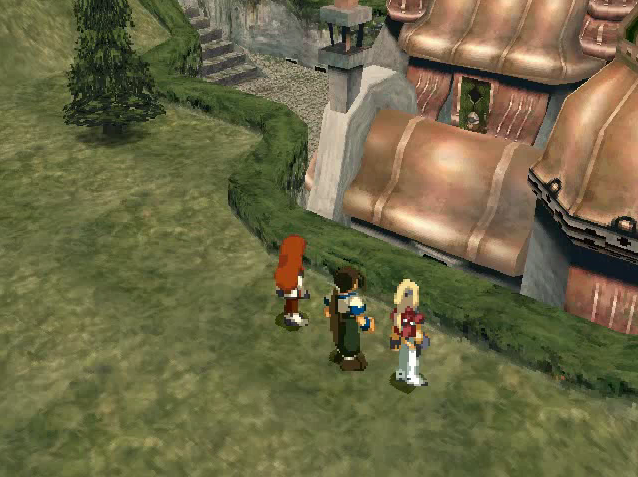 Our heroes arrive to find the town deserted of its inhabitants and full of Aveh soldiers. The party decides that they need to find wherever the townsfolk are hiding, and to do that they will have to kill every soldier in town first. Hm, this could be tough. We better bring some useless girls with us just in case. Aw, don't worry, Elly, your kuboton is very nice. They do a clean sweep of the place, but they still can't find anybody! It finally occurs to them to try going inside some buildings, and they soon find a wounded nun who tells them that everyone is hiding in the mausoleum where they keep all their dead kings and popes. 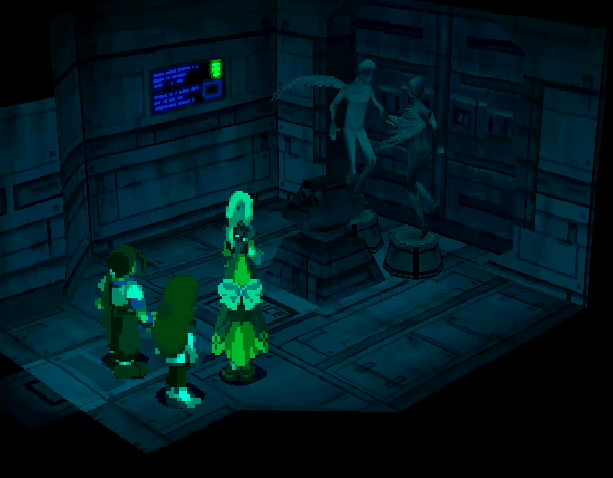 They're hiding in a tomb? I think I'd rather take my chances with being occupied! Hey, it's a really awesome tomb, okay? It's got an Omnigear in it! The Fatima treasure is in the mausoleum? You knew where it was? We could have gone in there and gotten an Omnigear at any time? No, not at any time! Only when it was apocalyptic! You are already the worst king ever! Shakahn also knows where the Omnigear is, and they've gone to the mausoleum to try to find it. Perhaps it was not the best place for everyone to hide after all. But there is still the small matter of the Fatima Jasper, which, the audience will recall, is supposed to be what will lead one to the Fatima treasure, and it's still in the possession of Bart and Margie. Well... and of every dead king and pope in the tomb. The nun tells the party that Shakahn went into the tomb with a crowbar, and he's going to pry out Margie's dead mother's eyes. Surprise! The Fatima Jasper isn't a jasper at all, it's actually a retinal pattern. And the Fatimas are apparently so deeply inbred that everyone in the family has an identical retinal scan. Well! Convenient! If horrifying to contemplate. As long as we're stopping them, we may as kill them. Let's take the kingdom back! The party plus Margie all head to the tomb behind the cathedral. Bart confesses that neither he nor Margie have ever actually gone into the mausoleum before, so they are also enormously disrespectful to their ancestors. Like that's a surprise. But there's actually a very good reason. God, how many stairs is this? You should try being on pallbearer duty. 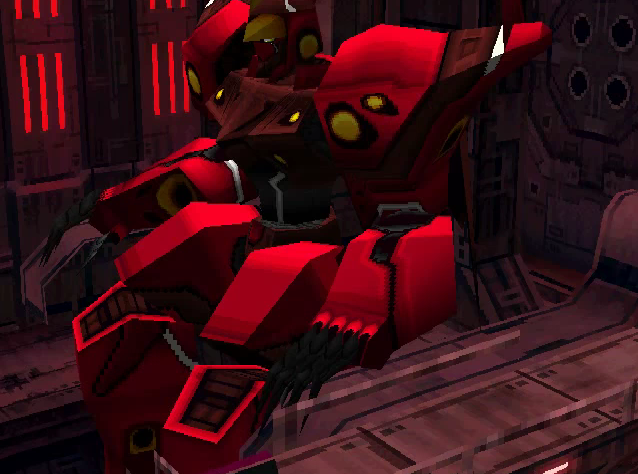 This game keeps picking the most awkward places to put its giant robots. They hit bottom eventually, where they are faced with a secret lock to the door. Dan Brown's been here, too! Anyone here any good at anagrams? Yeah, but it's a secret button! They head on, where there are a bunch of Shakahn's soldiers waiting for them! They figured out the button. The party kills them, and the townsfolk creep out from where they were hiding behind caskets and whatnot. They are quite thankful that the party decided to showup, but they just want to know one thing: who is Bart really? They... don't know who you are? Well, they know I'm awesome! Look, don't think about it too hard. The writers clearly lost their notes for like this entire section. Yeah, I had no idea where the Fatima treasure was until thirteen minutes ago! Bart hems and haws at the townsfolk and tells them that Sigurd has taken the Yggdrasil to Bledavik and they are going to overthrow the government and build a new one from scratch. He has inherited this task from their late king! These people clearly need to count on their fingers to put two and two together, but this enough of a hint to make everyone gasp. They swear their support and make him promise that he will announce his identity to the people once Shakahn is gone. These people all deserve each other. Margie goes ahead and cracks open her mother's coffin (!!) and says that no one has pulled out her eyeballs, so... good? Yeah, that's probably good. 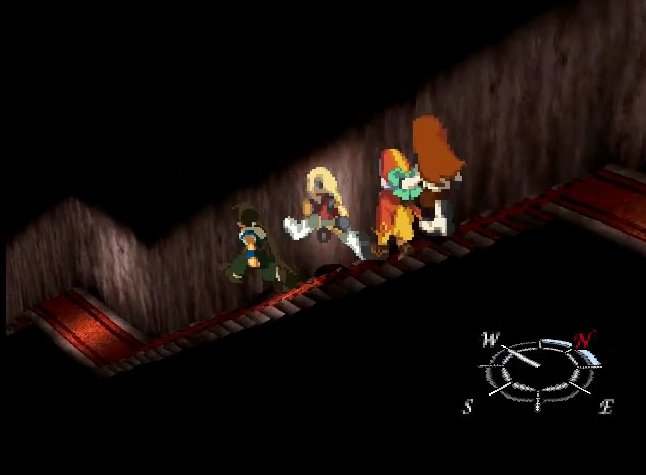 They send the townsfolk back into town -- whatever, it's probably safe -- and they go deeper into the tomb to try to find this Omnigear before Shakahn shows up. So here is where the famed Fatima Jasper enters into things. The scanner needs two eyes to open the door, so naturally Bart has it read one of his eyes while Margie squashes in so it can read one of hers. Margie cannot just do it herself, she is a girl! A crazy high-tech fortress that would have totally come in handy when we were overthrown twelve years ago! ...I'm just going to stop asking these questions. They wander around for a while, oohing and ahhing at all this five hundred year old technology and getting their eyes scanned some more, and eventually they find... a giant robot! ...it's hard to be impressed by giant robots at this point. 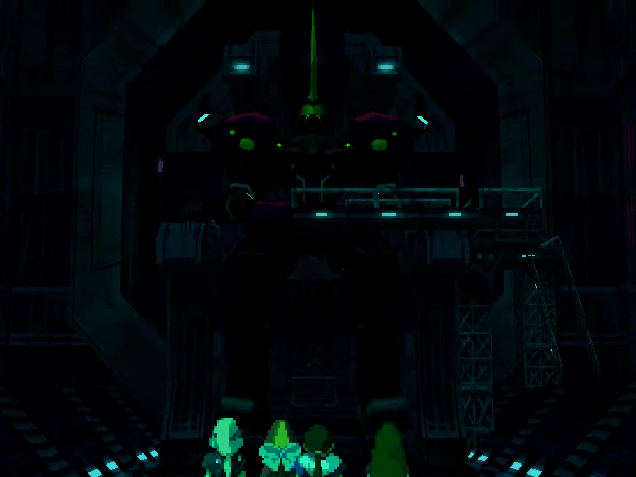 Maybe it's just because it's dark, but that just looks like Bart's giant robot. They look for the lights. So much technology, and no light switches! They find a plaque instead, and they shine a flashlight on it so Bart can take a better look. It's in Old Fatima! This is a very precise language family right here. Peace to all those who come here. Fearing the great calamity, we sealed this legacy entrusting its fate to you. And the lights come on! Man, Dan Brown is really phoning this one in. Okay, I take it back. 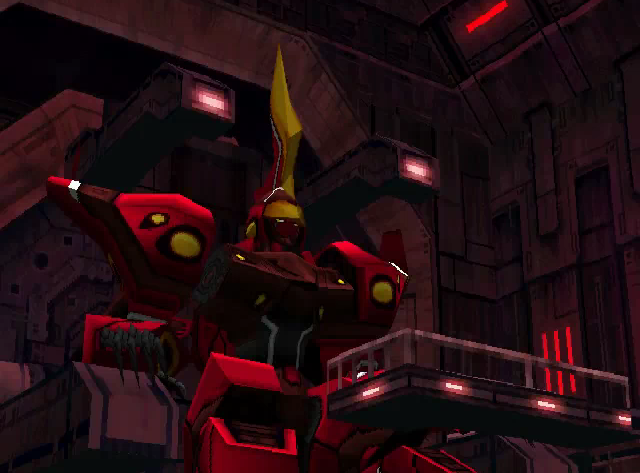 Your giant robot's nails are nowhere near that fabulous. So! Omnigear: check! How about this crazy high-tech fortress deal? 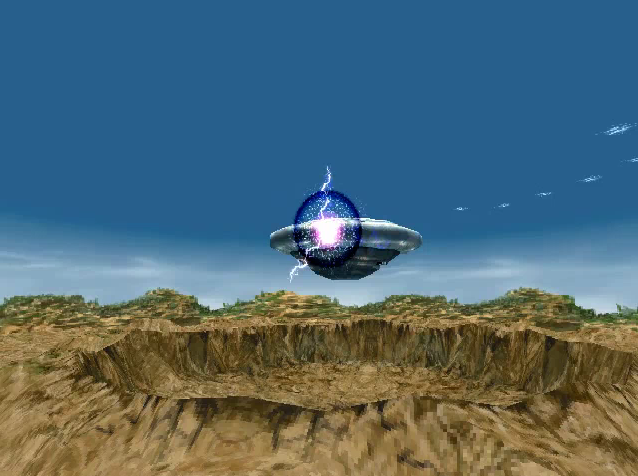 Now that the power's magically on, they head back to find this thing's bridge. They start doing what they do best and hit some random buttons, and the entire fortress rises out of the ground and into the sky, totally ruining the view for the tourists. Hopefully this does not hurt the cathedral this whole set-up was ostensibly underneath. Bart, drunk on his own power, hits one button too many. Fei, we've talked about this. Bart is totally excited about this new toy. He names it Fort Jasper, and exclaims that it could probably hit the Babel Tower from here! ...Leaving aside that the Babel Tower is like on the opposite side of the planet, it's honestly a little weird sometimes what this game chooses to foreshadow. Oh well, pretty much everyone wants to shoot Babel Tower. He hits some more random buttons, to the growing distress of his teammates, but he wants to hurry up and get the Omnigear outside. Surely one of these buttons does that. Mwah ha ha! Thanks for falling into our trap, Prince Bartholomew! Yeah, probably the best way to get the Fatimas to crack open the mausoleum was to spread awful rumors about pulling dead people's faces off. Though in the long run it probably would have been much easier, even Shakahn was apparently too squeamish for that plan. You're surrounded! What are you going to do? I am going to suggest that you kill yourself honorably! Soldiers start advancing on them, and suddenly Margie breaks formation and runs for it! She heads for that giant robot hangar! What does she think she's doing? Girls can't pilot giant robots! That's enough! Stick 'em up! How the hell is everyone getting into my flying fortress?! We've taken back the capital! I left Maison in charge and came back here because I remembered that Bart is an idiot. You have nowhere to go, Shakahn! I can still take Margie as my hostage! Nyuk nyuk nyuk! Shakahn runs for a door and locks it behind himself! That's an option? That would have come in handy ten minutes ago, Bart! As it is, they have to double back to unlock it again with the retina scanner, but woe! The party is down a Fatima! Bart can't open the door by himself! This is so emasculating! Being a pirate with one eye was supposed to be a cool cliche! Never fear, young master! For I... am also a Fatima! SHOCK!! ...yes, that was supposed to be a twist. Even though this narration gave it away in a title tag back in part three. And I have, at minimum, one eye! Well, okay, but don't tell anyone about this. I only share retinal scans with ladies. 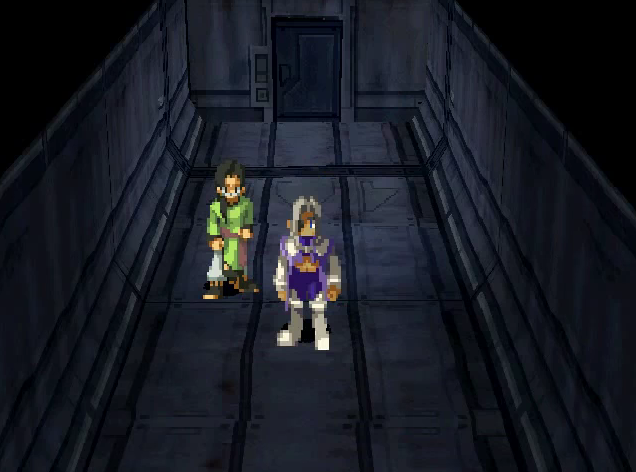 They get inside the hangar and find most of Shakahn's men's giant robots destroyed! Margie is piloting the Omnigear!